We use the best threads with vibrant colours for our embroidery designs. A great example which we love, is this new logo for Flippas-n-Fins who recently placed an order with us! 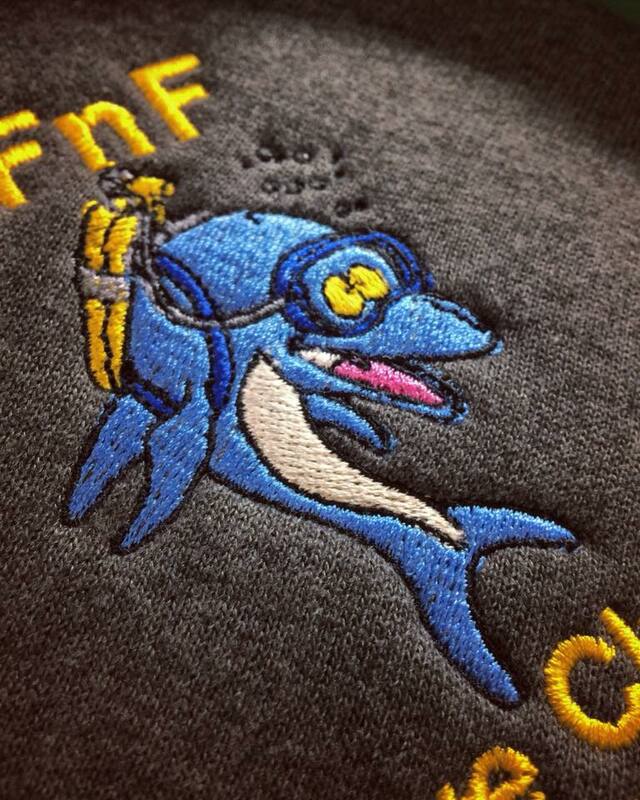 Flippas-n-Fins are a Poole based PADI 5* IDC centre.